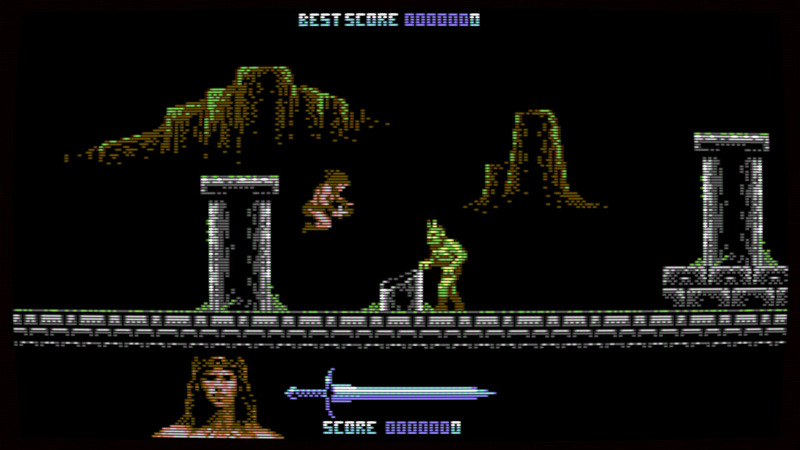 Black Jewel is a PC game created in c64 style. Pure pixel art and simple concept (but hard to complete). 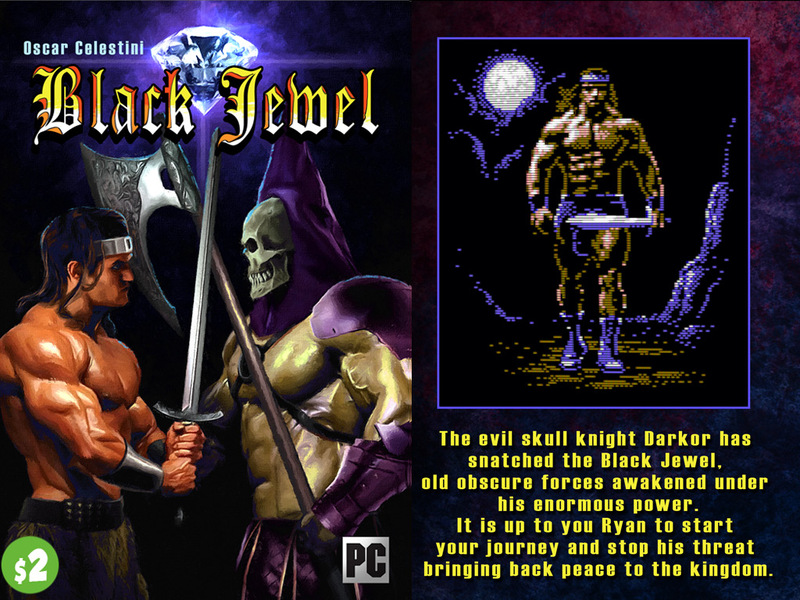 You are Ryan, a barbarian warrior and you've got to keep back to the realm the Black Jewel, stealed by Darkor. - Original Ost, 5 tracks by Gianluca Pappalardo, 1 special track by Daniele Coppola. Black Jewel patch and Original OST available! Black Jewel released on Steam also! Black Jewel released on Itch.io! Hello. 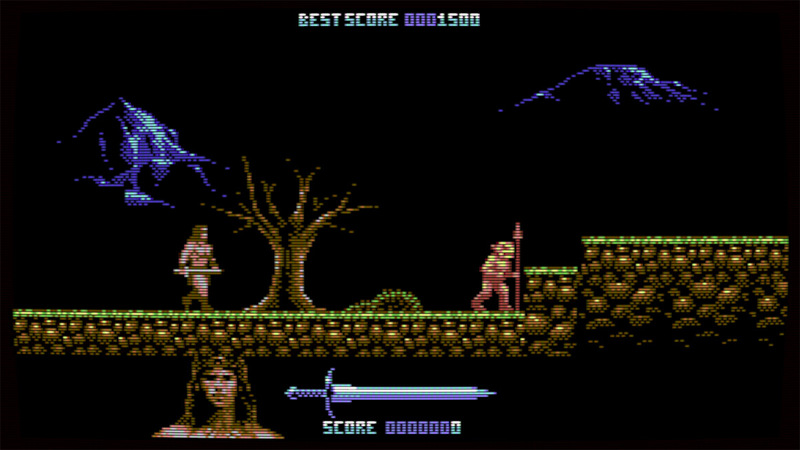 Please make a version that would work on a Commodore 64, VICE emulator, C64 Mini, or all 3. Just a question for my game review article. I play steam version, have any checkpoint, saveing point? Or one game - one life? :D I die after 2. boss +3 map, or im just curious, how much stage left. 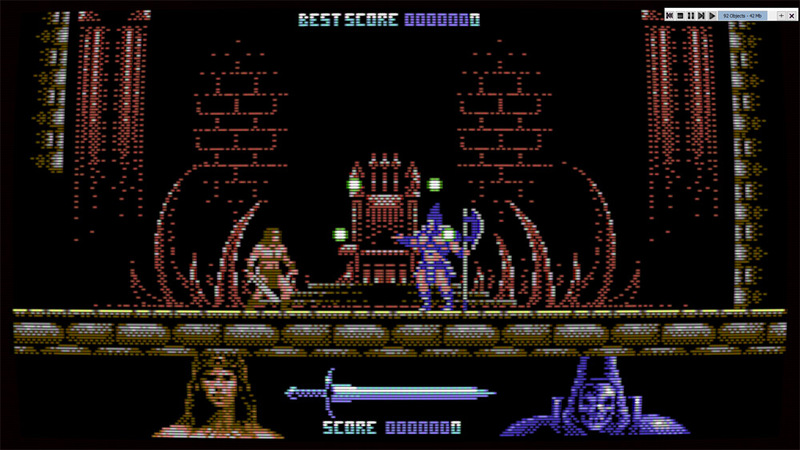 No savestate or checkpoint, as usual in c64 Platform (or arcade) games :D. There are 8 stages+boss each map, 5 maps, but last map is a bit different more stages and the castle is a labirint (you need to find the right path to reach the final boss). Try harder, is not so complicated complete it ;) if you want to complete it before the review release i can tell you in pvt message a secret cheat. No-no, i dont need cheat :D I love try-try-and-die :D Only i just ask (i dont want wrong info to the article :)). Thankx! Thank you Cartwright, really happy about this! I shared your post on Google plus and twitter! Wish I could play it, it looks SUPER cool and fun!!! I'd like to play it but I have Ubuntu, does it work with Wine? Or are you planning to develop a Linux version perhaps? Sadly no Linux version available, but some people used Windows emulators to run it under Mac, you can try and buy it, if it does'nt work i'll do a total refund of course. Great!! I was waiting for a repsonse :D great news! Thank you Badchosenname, hope you'll have fun beating the game! 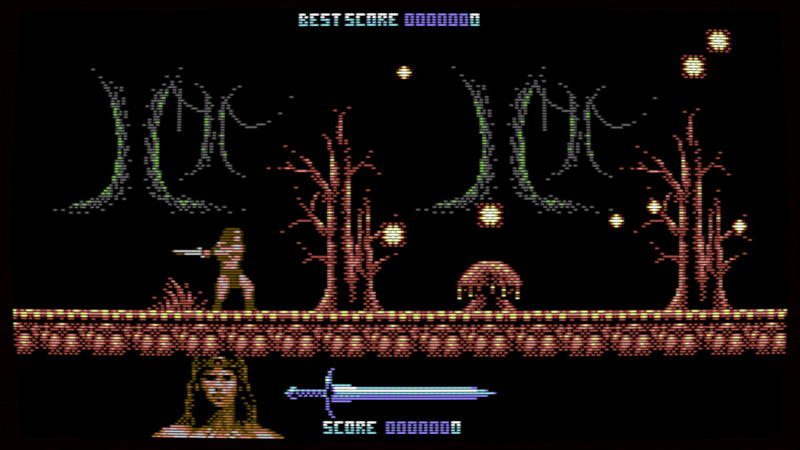 Being a man who grew up with this kind of games, i totally love it! It captures perfectly the feel and gameplay of the era. Thanks for the trip, Oscar.